It may sound a bit sci-fi but a UK couple have actually hired a robot to capture images on their big day! 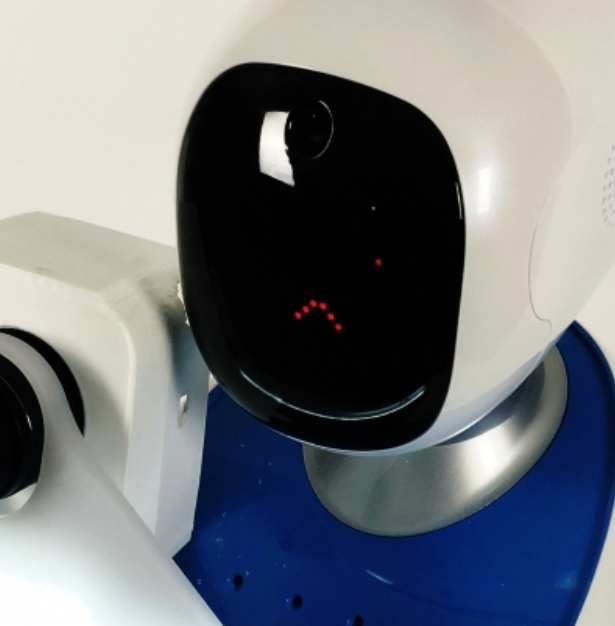 First, it was friends/family getting the role of 'wedding photographer' but now, it seems some are not even asking a human to take their wedding photos as a couple in the UK have used an actual robot to capture their wedding images. 'Eva' is the name of the robot photographer and she/he/it(?) is from servicerobots.com - a company launched just this year. Eva's debut was at Gary and Megan Barker's wedding where the robot's use was popular with wedding guests. Talking to Bride, the Groom said: "This was a fantastic addition to our day and our guests are still talking about it. Eva went down a treat and really got people involved. It made a nice change from the normal photo booths." According to reports, facial recognition is what the robot uses to find people before asking if they would like their photo taken. The person/people posing for the portrait can then choose from a wide range of photography options before the picture is captured then printed or shared to social media. To find out if you can beat Eva's rates, you have to get in touch with the company.